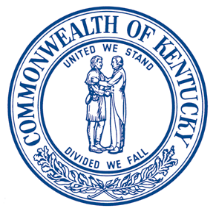 You are attempting to access a Commonwealth of Kentucky governmental information system. The Kentucky Office of Unemployment Insurance monitors all usage of this site in order to prevent any fraudulent or unauthorized activities. Any unauthorized use of this system or schemes to establish fictitious employer accounts, file fictitious employer reports, or fraudulently claim unemployment benefits will be referred to local, state and federal authorities and may result in prosecution by the Office of Inspector General. For security purposes, we have obtained your login information. *I acknowledge that I am authorized to execute this transaction of behalf of the employing unit and the statements and information entered into this information system will be true, correct, and complete to the best of my knowledge.